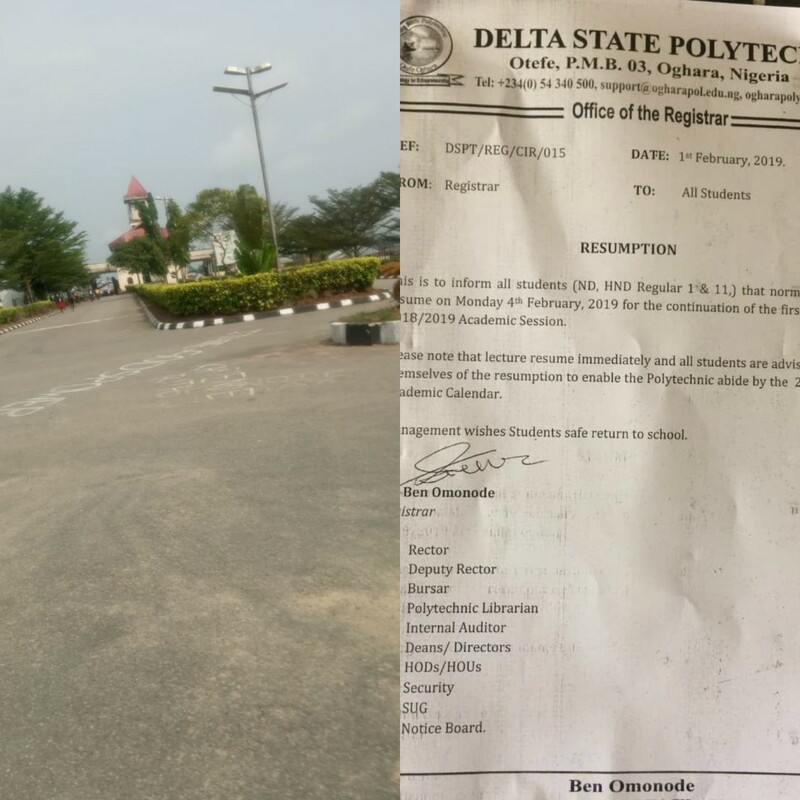 This is to inform all students (ND, HND Regular I and II ) that normal lectures resume on Monday 4th February, 2019 for the continuation of the first semester 2018/2019 Academic calendar. 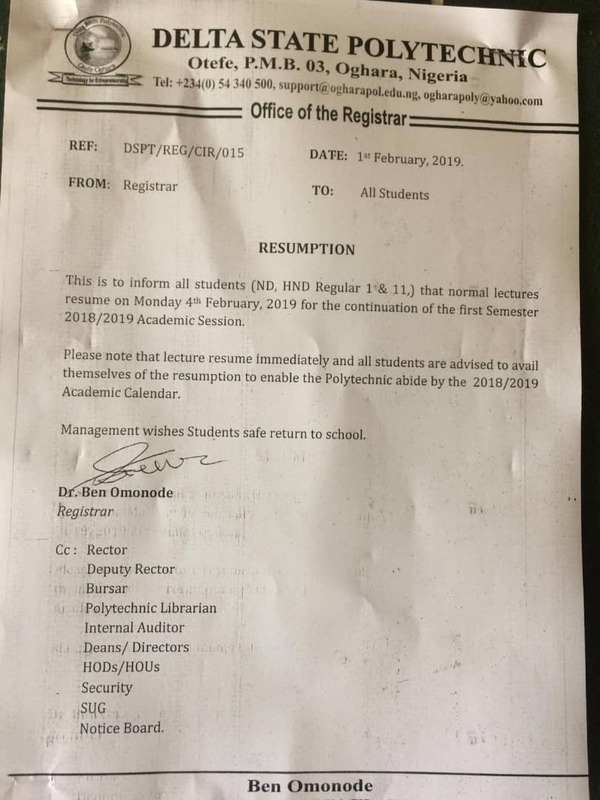 Please note that lectures resume immediately and all student are advised to avail themselves of the assumption to enable polytechnic abide by the 2018/2019 Academic calendar. Management and Topskylinkers wishes students safe return to school. Please forward this information across your friends and colleagues.